The Singapore Aviation Academy (SAA), established in 1958, is the internationally-recognised training arm of the Civil Aviation Authority of Singapore. It offers a wide range of operational and management programmes that benchmark international standards and best practices to meet the training needs of the global aviation community. SAA is an ICAO Regional Training Centre of Excellence, ICAO Aviation Security Training Centre, ICAO-endorsed Government Safety Inspector Training Centre and ICAO TRAINAIR PLUS Full Member. Through its four specialised schools - School of Aviation Management, School of Aviation Safety & Security, School of Air Traffic Services and School of Airport Emergency Services - SAA has trained over 91, 000 participants from 200 countries and territories since 1958. By consistently staying ahead of developments taking place in international civil aviation, SAA is able to develop new programmes not readily available elsewhere. SAA also offers degree and graduate diploma programmes through alliances with reputable national and overseas academic institutions. The Academy provides a forum for information sharing and networking amongst the managers and specialists in the international civil aviation community, by organising workshops, conferences and seminars regularly. It also hosts numerous international meetings and conferences organised by international organisations such as ICAO, APEC and ACI. To be the world's premier centre of learning for civil aviation. To provide the highest quality of training, and the sharing of knowledge and experience, for the advancement of international civil aviation. Like many institutions that grew to become towering entities in their fields, the Singapore Aviation Academy started off small. The first civil aviation training school was established for air traffic controllers in 1958 at Paya Lebar Airport. It was attended by five local trainee controllers. Four years later, international participants were accepted for training in aeronautical information services and aeronautical cartography. They were sponsored under the international Civil Aviation Organization's Technical Assistance Programme. Over the years, the School grew from being an in-house training outfit to a regional training centre. It relocated in 1972 to larger premises and better facilities at Seletar Airport. The school was renamed as the Civil Aviation Training Centre (CATC), Singapore. It was then training overseas participants regularly in not just air traffic services but airport emergency services, airport management and operations. The CATC achieved an impressive track record for producing high quality training that was unique in the Asia-Pacific region. Its sophisticated and customised air traffic control training simulators were regarded as the most advanced in the region. It was designated as an ASEAN Centre of Excellence in 1977 for training in air traffic control, aircraft fire-fighting and rescue services, as well as aeronautical information services. 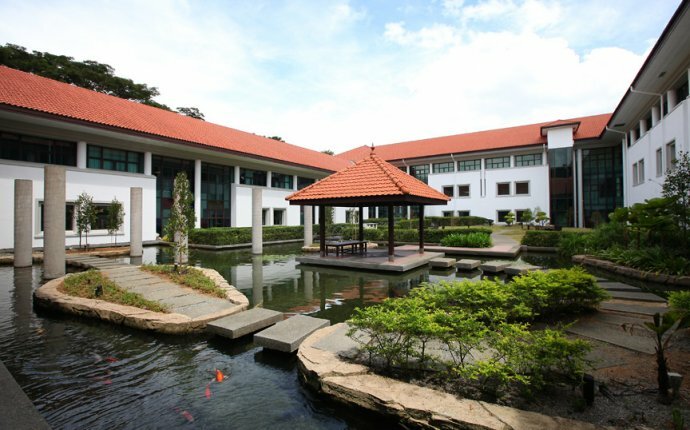 In 1990, the Centre was renamed again, as the Singapore Aviation Academy (SAA). The change reflected its enhanced status and expanded roles as the Civil Aviation Authority of Singapore (CAAS) geared up to upgrade the skills of aviation personnel to meet the challenges of the new millennium. SAA started operations from its present purpose-built training complex in 1992. It was officially opened on 2 Nov 1992 by Mr Mah Bow Tan, the Minister for Communications. Constructed at a cost of US$50 million, the complex is equipped with a comprehensive range of facilities to create unique total training environment.